Charles Handy (1932-2018) is an Irish author and philosopher, and lecturer specialized in organizational behavior and management. He is internationally known for his contributions to the field of management. His work includes writings of highly influential work of business literature. 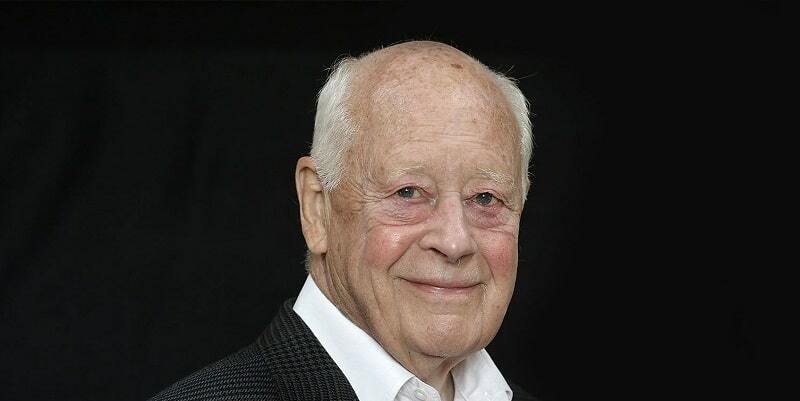 Charles Handy is additionally recognized to be one of the greatest business minds of this century and is co-founder of Handy Model of Organisational Culture. Charles Handy was born in Ireland and grew up in St. Michael’s Vicarage, a small village in Ireland’s County Kildare. He was born into a religious family. His dad was a rector but Charles Handy was not attracted to religion, despite that he went to church together with the family. According to Charles Handy, in that time, life was simple and going out to church was one of the few things to do in the village. Charles Handy always wanted to have a different life than as in the village. For this reason, he chose to study in the United Kingdom at Oxford University. He majored in history and philosophy and graduated with a first-class honor. After his study, Charles Handy started his professional career by working for Royal Dutch Shell. The next ten years he spent with the company, he grew with the company and worked in various positions such an economist and Marketing Director until he met his future wife, Elizabeth Handy. Elizabeth made Charles Handy realize that the time he spent to do all the work he did for Royal Dutch Shell could instead be spent on things he was more interested in. Charles Handy consequently quit his job at Royal Dutch Shell in 1965 to attend the Sloan executive program of the Sloan School of Management at the Massachusetts Institute of Technology. After the course, he became more interested in the way organizations work. In this period, his wife stimulated him to continue writing. His previous books provided Charles Handy a fundamental to work from. As a result, he authored ‘The Age of Unreason.’ The book was a success, and it was recognized by Fortune and Business Week as one of the best-published books in 1990. Due to his understanding and contributions to the field of management and organizations and his outstanding contributions in academic activities, Charles Handy was awarded several honorary doctorates from British universities including Oxford University, University of West England, and the University of Essex. In addition, Charles Handy is ranked among the top names in Thinkers50, and in 2000, he was awarded the CBE, the Most Excellent Order of the British Empire awarded for contributions to arts and sciences, work with charitable and welfare organizations, and public service outside the civil service. Charles Handy worked in various positions, from oil executive to professor of business, educator, and writer. He worked as a broadcaster for the BBC for approximately 20 years and served as a chairman for the Royal Society of Arts in London, an organization committed to finding practical solutions to social challenges. Charles Handy has today written about twenty books and continually attempt to design concepts related to understanding organizations. He considers himself as a social philosopher but is recognized by others as a management guru. Charles Handy and his wife have four grandchildren, but Elizabeth recently died in 2018 at the age of 77. Publications and Books by Charles Handy et al. 2016. The second curve: Thoughts on reinventing society. Random House. 2012. The unintended consequences of a good idea. Harvard business review, 90, 10-36. 2012. The age of unreason. Random House. 2011. The empty raincoat: Making sense of the future. Random House. 2008, 1997. The Hungry Spirit: New Thinking for a New World. Random House. 2008, 2002. The elephant and the flea. Random House. 2008. Myself and other more important matters. Amacom Books. 2007. Understanding organizations. Penguin Uk. 2007. The new philanthropists: The new generosity. Random House. 2005. The Handy Guide to the Gurus of Management. 2004. The new alchemists. Random House. 2002. What is a business for? Harvard Business Review, December. 2002. The Empty Raincoat: New thinking for a new world. Arrow Books Limited. 2001. The Citizen Company. Creative management, 240. 2000. 21 Ideas for Managers: Practical Wisdom for Managing Your Company and Yourself. Jossey-Bass. 1999. Waiting for the mountain to move: Reflections on work and life. Jossey-Bass. 1998. The hungry spirit. Random House. 1998. A proper education. Change: The Magazine of Higher Learning, 30(5), 12-19. 1997. Unimagined futures. The organization of the future, 377-383. 1997. The search for meaning. Leader to Leader, 1997(5), 14-20. 1997. The citizen corporation. Harvard Business Review, 75(5), 26-27. 1997. Rethinking the future. Business, principles, competition, control, leadership, markets and the world, N. Brealey, London. 1997. New Language of Organizing: The words being used to describe organizations today are very different. Executive Excellence, 14, 13-13. 1997. Managing the Dream: We must all acquire the learning habit. Executive Excellence, 14, 11-12. 1997. Looking ahead: implications of the present. Harvard business review, 75(5), 18-32. 1997. Finding sense in uncertainty. Rethinking the future, 16-32. 1996. What’s it all for? Reinventing capitalism for the next century. RSA journal, 144(5475), 33-40. 1996. The search for meaning. 1996. The new language of organizing and its implications for leaders. The leader of the future, 3-10. 1996. Gods of management: The changing work of organizations. Oxford University Press, USA. 1995. Trust and the virtual organization. Long Range Planning, 28(4), 126-126. 1995. The age of paradox. Harvard Business Press. 1994. A glimpse of the invisible organization. Director, 48.